Possible Linkage between the 1918 El Niño and the 1918 flu pandemic ? | Watts Up With That? Possible Linkage between the 1918 El Niño and the 1918 flu pandemic ? Of course with H1N1 influenza concerns now reaching another peak in the media, this is bound to add fuel to the fire now that NOAA has announced we’ll likely see our present weak El Niño strengthen and continue into this winter. Research conducted at Texas A&M University casts doubts on the notion that El Niño has been getting stronger because of global warming and raises interesting questions about the relationship between El Niño and a severe flu pandemic 91 years ago. The findings are based on analysis of the 1918 El Niño, which the new research shows to be one of the strongest of the 20th century. El Niño occurs when unusually warm surface waters form over vast stretches of the eastern Pacific Ocean and can affect weather systems worldwide. Using advanced computer models, Benjamin Giese, a professor of oceanography who specializes in ocean modeling, and his co-authors conducted a simulation of the global oceans for the first half of the 20th century and they find that, in contrast with prior descriptions, the 1918-19 El Niño was one of the strongest of the century. The El Niño of 1918 coincided with one of the worst droughts in India, he adds. “It is well known that there is a connection between El Niño and the failure of the Indian monsoon, just as there is a well-established connection between El Niño and Atlantic hurricane intensity,” Giese says. In addition to drought in India and Australia, 1918 was also a year in which there were few Atlantic hurricanes. The flu epidemic of 1918, commonly called the “Spanish Flu,” is believed to be the greatest medical holocaust in history. It lasted from March of 1918 to June of 1920, and about 500 million people worldwide became infected, with the disease killing between 25 million to 100 million, most of them young adults. An estimated 17 million died in India, between 500,000 to 675,000 died in the U.S. and another 400,000 died in Japan. With a moderate to strong El Niño now forming in the Pacific and the H1N1 flu strain apparently making a vigorous comeback, the concerns today are obvious, Giese adds. Giese’s work will be published in the current “Bulletin of the American Meteorological Society,” and the research project was funded by NOAA (National Oceanic and Atmospheric Administration) and the National Science Foundation. September 14, 2009 in Economy-health, ENSO, Sea Surface Temperature. There has not been that many deaths from H1N1. There are deaths all the time from diseases. H1N1 deaths are not unusually high. Things must be kept in perspective. I don’t like to be carried away by media hysteria. It is interesting that there could be a connection to El Nino’s. The panspermia concept is appealing, but this swine flu did originate in Mexico. Perhaps it’s time we should curtail those interminably long technical meetings and stay in our offices and send emails instead. I seem to have a cough now…. I was about to dismiss the El Nino – flu link as coincidence, but the cold weather angle does favor influenza survival and transmission. The nature of the virus strain, an immunologically naive population, and the worldwide traffic due to the war were almost certainly much bigger factors though. The details of the reported deaths from the H1N1 version show many pre-conditions such that the individuals are susceptible to complications or some other factor making the disease more deadly. This is probably always the case but with early diagnosis and treatment healthy folks that contract H1N1 seem to recover as with other strains. This is from a small sample reported state-wide. Maybe someone has a broader picture of this. Any one know? The tie-in with weather along with the other things happening in 1918 is rather amazing. On the other hand, it is a big world. It is bound to be wet and cold somplace. Same with 5 o’clock. These is, however, a connection between Romulan spaceships kidnapping children and solar minima – since their cloaking devices can only work when the solar radio wave emissions are low. Hey, just because the Galapagos turtles are breeding doesn’t mean that there is a connection between a lot of turtles and a Democratic gain in Congress in 2010. There is a difference between coincidence and correlation. They say the lucky ones get it early on in this bout of H1N1. California is ground zero in the US. H1N1 did the rounds in the winter just gone in Australia. There was much media hype, and absolutely no unusual death rates compared to previous flu seasons. If anything this is a mild one… so far. Could it mutate into something worse? well, of course, but right now it is a normal annual flu bug. Take the usual precautions. Of course, there is always a hard change in the climate, or simply going from one climate to another, that proves deadly. In the Newfoundland Regiment, those already over there fared well, while those who were newly shipped over did poorly with the disease. For those who were over there and returned home from the war, the disease was waiting for them. But, even at that, those who stayed in Newfoundland ??? Is there any rhyme or reason to H1N1? Get it early, and develop the immunity. I doubt this link between the virus and El-Nino. I just find it hard to believe that any flu virus can influence the Pacific water temperature. There are two important pieces to this story, one of which most things I have read about ‘flu pandemics seem to forget. They are mutation and SELECTION. My understanding is that the environment that led to the selection of the vicious Spanish Influenza strain back then was the trenches and rudimentary hospitals of the 1st world war. These were very particular conditions, allowing the virus to kill its host extremely quickly but not, thereby, destroying its ability to spread (dead people don’t cough or sneeze). There is very little chance of a deadly pandemic unless the particular conditions develop that allow its selection. In other words, deadly influenzas kill their hosts too quickly to spread. So I doubt the ENSO cycle had anything to do with it. It reminds me a little of the Black Plague. It only became a huge issue in Europe after the Little Ice Age weakened the population dramatically, through hunger primarily, I believe. Or so runs one theory. I have no idea where the truth lies… but nothing surprises me after checking out the bogus AGW alarmism promoted by government bodies and the main stream media…. When I was in school a kid asked if South America and Africa ever fit together. So when I see this I think, did they ever fit together. I’m so clever I love myself and my hologram. Re the sparse measurements of the Pacific surface temperature around that time; what about all that data in all those ship’s logs? And that is no snide remark, just a reflection of the apparent state of climate ‘science’, where objectivity is clearly being compromised by institutional and personal needs on a global basis. Are we looking at the Global Warming of the economic temperature inside academic and government institutions rather than the real environment? And on the correlation between El Nino and Spanish Flu, what about the correlation between WW1 and CO2 emissions and El Nino? During the 4 years of that war, the most stupendous ‘blip’ in CO2 emissions must have ocurred. Does this show up on the graphs? And then, there is the even more fantastic ‘ blip’ in CO2 emissions that must have occurred between ’39 and ’45 … and surely this lot must have shown up in the record … would any climatologists care to comment? The greatest medical holocaust in history surely must be “the black death” in medieval Europe and Asia. It killed about one third of the population in Europe. I don’t know what was the death poll in Asia, but probably it was similar. The Spanish flu is nowhere near those numbers. “Climate change link to H1N1”. They used a model to reconstruct the El Nino of 1918 as there are few Pacific Ocean temperature records for that era. How did they calibrate their model; with El Nino-rings? Seriously, how confident can we be about the accuracy of their assertion of the strength of the 1918 El Nino? Heat and drought are 2 things influenza really doenst like, thats why influenza does its thing mostly in the winter. El nino has noting to do with it. on average it would probably decreased the number of cases. A harsh winter on the NH would have made it a lot worse. John Barry has written a fantastic book, “The Great Influenza” which analyzes all the evidence about the 1918 pandemic. He also writes it from the point of view of the early medical researchers who were frantically racing to figure out how to treat it, some of whom died from it as they worked on it. It’s *very* unlikely that an El Nino had anything to do with it – as others have side, the very fast worldwide propagation had more to do with the spread of the virus in the trenches of WW1 and then the quick return of all those soldiers to their home country’s. Also, although the drought in India may have helped to increase the death total *there*, the death rate from the 1918 strain of the flu was incredibly high *Everywhere*, not just in India. One of the hallmarks of the 1918 flu was that the stronger and healthier a person was, the more likely they were to die quickly from it, which meant that it hit healthy adults in their 20’s and 30’s harder than any other segment – a uniquely perverse hallmark of that particular epidemic. Barry does a very good job of explaining why this happened from a medical perspective; this particular flu seemed especially effective at provoking massive immune system overreactions, which were the worst in the people with the healthiest immune systems. Their lungs would clot and swell completely shut within 48 hours, it was horrific. Just doing back of the envelope calculations, it looks to me as though the current flu (as it’s appeared so far) is *at worst* maybe 1/10 of 1% as dangerous as the 1918 bug – and in fact that is probably quite an overestimate. Given our current population rates and conducive conditions in the slums of Mexico, if this bug was anything at all similar to the 1918 bug we would have seen 1,000,000 bodies stacked up by now. Obviously, we haven’t – and these pandemics usually *lesson* in severity as they go on, because the nastier mutations burn themselves out. It is good for everybody to know that the alleged antiviral TAMIFLU it is an extract of Star Anise, which is mainly cultivated in China. There was an intense El Nino during 1957-58 and the then called “Asian Flue”, which caused many deaths (btw I got it in july 57´). WWS – from the link provided by RBateman: “The first wave was relatively mild – symptoms sufficient to incapacitate a person but with low mortality. It is referred to in some accounts as the Three Day Flu” … “The epidemic seemed to subside over the summer months. It was not until late August when the Second wave appeared- but this time with a difference -a lethal difference”. this particular flu seemed especially effective at provoking massive immune system overreactions…. In the UK between 1970 and 1990, over 200,000 cases of whooping cough occurred in fully vaccinated children. In 1977, Dr Jonas Salk who developed the first polio vaccine, testified along with other scientists, that mass inoculation against polio was the cause of most polio cases throughout the USA since 1961. In 1979, Sweden abandoned the whooping cough vaccine due to its ineffectiveness. Out of 5,140 cases in 1978, it was found that 84% had been vaccinated three times! Mexican Flu epidemic develops under similar circumstances. This and some other remarks, make me conclude that this too is nothing more but an alarmist statement. Nothing more nothing less. Except for the fact that I see this report as a clever promotion of Mr. Giese and A&M University to make themselves a name since the Mexican Flu “Pandamic” is big news today. There always will be ideal circumstances for whatever pandemic somewhere in the world. The biggest epidemics: smallpox, bubonic plague, cholera, aids, malaria and influenza. The biggest killer still has to be determined but I am sure it’s not influenza that ranks the list. He does not deny the link CO2-Global Warming. I regard that as a missed opportunity. He simply serves another agenda but the climate agenda. Wake up US people: As you are about to begin autumm it is the right time for the FLU PROPAGANDA, just ask your friends in the southern hemisphere, where we are about to begin springtime, if there was any flu whatsoever. They will all tell you that there was flu…but just in the media. This is a case similar to Global Warming scare. Interestingly, the winter of 1997 – 98 was a really bad one for influenza here in CA. I got hit myself. Somehow, warm and wet seems to help viruses survive outside (not rocket science, considering substrate conditions, hygroscopic mechanisms, etc). H.R. (02:24:30) :how confident can we be about the accuracy of their assertion of the strength of the 1918 El Nino? My only comments on the flu are these, within the pantheon of flu bugs, there are at least 3 which, if not properly treated (bed rest, fluids, etc. ), will evolve and attack the heart. It’s called viral cardiomyopathy and I’ve been a victim. If you get the flu, go to bed, do not do the rest of us any favors by “working through it.” If you have a variety that can attack the heart, you may save your life. Be aware that the symptomatic difference between viral pneumonia and congestive heart failure is very small – misdiagnosis occurs. That can be fatal. It doesn’t take H1N1 to ruin your day. This is a LIE which originates in the same source, as the global warming/climate change scam: The UN. We should call it the WHO (World health organization) VIRUS. You can try to correlate anything to anything else – why not El Nino and flu? Of course the 1918 flu had certain properties that made it deadly that could not have been related to weather. The overreaction of the immune system (to the 1918 flu) is believed to be a “cytokine storm” (not a weather event). The immune system has a mechanism that moderates it’s reactions, so that the immune response doesn’t damage healthy tissue. In a cytokine storm, the immune system reacts strongly and fails to moderate, in effect there is a feedback loop. The effects can be similar to hemorragic fevers (bleeding from mucus membranes, fluid collecting in the lungs, etc.). It is believed that cytokine storms are responsible for the deaths in Hong Hong due to SARS (2003) and that the human deaths from the H5N1 avian flu are due to cytokine storm. Last week the CDC announced that the new vaccine was much more effective than they had hoped. The expectation was that two doses would be required, and that it would take several weeks for meaningful immunity to develop. Testing of the new (H1N1) vaccine shows that a single dose results in strong immunity within just a few days. The CDC thinks that this is wonderful news, but I’m not so sure. To date, none of the deaths due to the current H1N1 virus have shown any signs of cytokine storm. BTW : Don’t get any shots of distilled water for a lot of bucks!. Save syringes and Save the planet! Gallagher has explained it very clear [DGallagher (09:03:46)]. I would add only that the lymphocytes overreact by cytokines stimulus and kill healthy cells of lung tissue. The virus attack the tissue cells, then the macrophages are produced for disable the virus. However, as the macrophages enter the damaged tissue, the viruses attack them and the macrophages throw a chemical SOS. Then the cell killers are produced and enter the organs affected to kill every infected cell. Nonetheless, the cell killers destroy also healthy cells due to the excess of cytokines in tissues. I do not agree with many things issued by the WHO. One is that the virus is seasonal. This is not real because the cases of A-H1N1 have not decreased during this summer. Something else which I disagree with is about mass vaccination. I think the vaccine is useless, the virus was intentionally spread and not only tamiflu cures the disease. By the way, the swine influenza did not start in Mexico. The first cases of the current strain of A-H1N1 appeared in Fort Dix, NJ, in 1976. There was no consensus on what caused the disease until about a decade after the pandemic ended IIRC. The doctors at the time – and many had never even attended medical school nor was there any active medical accreditation yet – mostly assumed it was caused by a bacterium. Any vaccination efforts would have been directed to the wrong target. There were places in the US where the common assumption was that the flu was spread by dogs and every dog in the community was killed. The custom of covering the mouth when coughing may have originated during the pandemic or been greatly strengthened socially. Spitting on the sidewalk was made a jailable offense in some towns as well. The Great Influenza by Barry offers a good history. “H.R. (02:24:30) :how confident can we be about the accuracy of their assertion of the strength of the 1918 El Nino? So then… why did they need a model to reconstruct the El Nino when someone has already been there and done that? I’m underwhelmed by the article. Seems to be a “groceries and rent” study to me. “There always will be ideal circumstances for whatever pandemic somewhere in the world. Yes and no – There are diseases that have killed a lot of people over a long period, but these are all lumped together over time, rather than being divided into specfic outbreaks as is the case with flu. Annually, influenza infects about 3-5 million people, with up to 500,000 deaths. In just the US, there are about 200,000 hospitalizations for flu each year and an average of 36,000 deaths. Smallpox killed over 300 million people worldwide in the 20th century. Plague/Black death killed about 100 million in Europe, Asia and Africa between 1300 -1800 AD. Measles, about 200 million worldwide over the last 150 years. As far as the greatest human killer of all time, Influenza is right up there. Smallpox, measles and Plague aren’t big killers any more, but flu goes right on, killing about 1/2 million people a year, it doesn’t take too long to rack up a big body count at that rate. Next they’ll be saying the MWP caused the black plague. The 1918 pandemic came in 3 or 4 waves. The big killers were the 2nd and 3rd waves. We know little about the 1st wave, but it probably wasn’t that much different from the last 6 months of the swine flu epidemic. There are a number of contemporary records that say those infected in the first wave were more likely to die in the second or third wave. The reason may well be the difference between dengue fever and dengue hemorhagic fever, and the reason there is no dengue vaccine. And on the El Nino link, I don’t think it is beyond the realm of possibility that the flu virus’s epidemic/pandemic lifecycle is synchronized with the Earth’s climate cycles. The flu virus has clearly evolved over long periods to spread by means of species jumping epidemics and some weather conditions would be more conducive to its spread. Well a “possible link” is NOT a “probable cause”; so nothing here to see; return to your seats. The point is that viruses are not living beings, they are not cells and don’t achieve a proton motive force which all living beings need for obtaining energy. Viruses don’t have any thermoregulatory system and they don’t reproduce without cell hosts and have not part into the biomes; hence, I don’t see how an abiotic particle could be affected by climate. It is the same as saying that the salt grains would be affected by El Niño. I remember in my first statistics classes being invited to correlate all manner of events in cities (births, deaths, marriages, murders, burglaries you can name it) to the number of ministers in cities. We thought we had discovered a great conspiracy until he lead us to the realisation that maybe the causality was a function of population size. How do these things get published when there is not a single attempt to falsify the hypothesis? Actually the black death, which swept through Europe in 1340s, did kill between 1/4 to 1/2 of the population of Europe, however that is only a few 10s of millions. There were a lot less people then, (and even fewer afterward). The black death is believed to have been Bubonic/pneumonic plague, but that isn’t certain. It is believed that the total number of deaths from all outbreaks of bubonic plague, wordwide, throughout history (including the black death, the Plague of Justinian,The Great Plague of London and the Third pandemic) may total as high as 200 million. However, most of the epidemics between 1300 and the mid 1800s were referred to as “plague”, and certainly many were not actually due to Bubonic Plague. A reasonable estimate of the number of people killed by Plague throughout history is about 100 Million, which is the same as the high side estimate for the number of people that died in a single outbreak of flu in 1918. There is pretty much universal agreement that the worst pandemic of human history was the 1918-19 spanish flu (total number of deaths not % of population). Naturally there were factors involved, greater population, more mobility, WW I, etc. However the flu took a heavy toll in isolated parts of the world that weren’t effected by those factors. I have read many horrific stories about the effects of that pandemic – mass graves, whole villages wiped out, women getting on the subway in NYC feeling a little sick and dying during the ride, and so on. But something that really struck me, i’m not sure why, were stories about people getting attacked by packs of starving, abandoned dogs. Things are pretty bad at that point. Of course, the widespread displacement of people due to coastal flooding as a result of the collapse of the icesheets, the global famine that will follow the prolonged drought, the proliferation of natural disasters and increased incidence of kidney stones all brought about by global warming will make a lethal pandemic seem pretty mild by comparsion. SOI it is again in the positive,…la nina back? Do you see any resemblance in them with some GWRs? The 1918-1920 A/H1N1 Pandemic (yes , it was H1N1 and began in April 1918) KILLED MORE PEOPLE THAN WWI AND WWII COMBINED: 100 MILLION. What was the mortality rate? 4% , yes JUST FOUR %. Killer mechanism: auto-immunitary cytokine storm ( stronger the immune system, stronger the illness). So, this is not a joke! Then you drown in your own fluids and blood, and die. THE MEDIA DON’TEXAGGERATE, THEY IGNORE AND COVER THE EMEERGENCY! Look for first hand information: WHO, PAHO, ECDC, CDC, articles in Nature, Science, The New England Journal of Medicine. Read the info and save your lifes! The major cause of death during the 1918 influenza epidemic was “secondary” bacterial pneumonia. There were no antibiotics available to treat bacterial pneumonia in 1918. Viral diseases spread far more effectively during the cold months because of increased availability of virus particles within aerosols originating from sneezing and coughing; the formation of such aerosols is enhanced during cold weather but is extremely limited during hot weather (reference the following citation). Virus. Journal of Virology Vol 82:5650-5652. Far more deaths occur within the United States during the 4 coldest months of the year (December, January, February, March) than occur during the 4 warmest months of the year (June, July, August, September) per CDC mortality statistics. The average over the period of 2003 through 2007 is 26,400 more deaths occurring during a cold month than during a warm month. My grandmother died in the 1918 flu epidemic. To see an interesting 1918 spike (tall & wide) contrast NAO (North Atlantic Oscillation) with SOI (Southern Oscillation Index) [i.e. NAO – SOI]. A sum [NAO + SOI] also produces an ‘anomalous’ spike at 1918. Note the coincidence with the “big warming” at Spitsbergen, the crash in LOD, and the crash in the Chandler wobble period. At the exact same time, precipitation started decreasing dramatically (on a decadal timescale) in mid-latitude west-coast North America (a region of normally-plentiful rainfall). 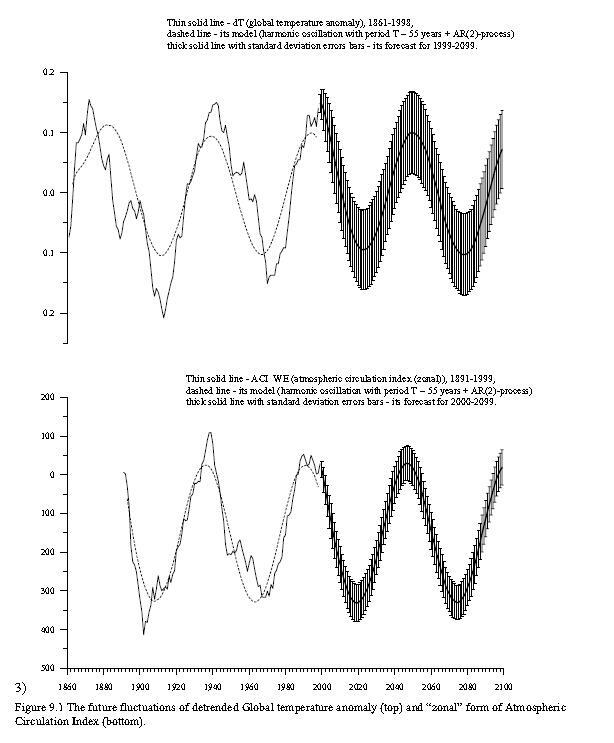 This was a time of interesting pressure variations in Earth’s shells and it occurred during an episode of anomalous phase-difference between polar motion & solar system-wide oscillations. Barkin is onto something important – a missing link in our understanding. commonsense (13:37:03) Take 3 seeds of star anise boil them in half a liter of water, and drink it three times a day, and just don’t worry, it will help you also with any stomach gases you could have. Well,after explained how dangerous the present pandemic can be IF ONE DO NOT TAKE THE APPROPIATE MEASURES AT TIME ,preventing infection and call for emergency care at the firt symptoms (I hope the post may save some reader’s life, and so was morally mandatory to explain that), I see the report. El Niño is not a cause of concern, outside of India. For South Americans like me ,and also Alaskans and Canadians, the El Niño-related hot weather is exactly what is needed to stop the spread of the flu. In any case many la ninas will keep on provoking Argentinian pampas’ droughts. Your figures and info aren’t accurate, while there was initially a great deal of concern in Mexico City, this flu hasn’t been the killer that the 1918 virus was. The very best info currently coming from the CDC is that this flu is tracking very close to typical seasonal flu in terms of the infection rate and fatality rate. Early on there was great concern about the fatality rate, but of course the only cases they knew about where those that had become serious. Now that they can see the big picture, they realise that a great many more people have had the virus – and a normal mild course of illness. The fatality rate is normal for seasonal flu. Contrary to the info you have, there have been no fatalites in the US, except among the normal higher risk groups (elderly, young, sick or pregnaut). There have been NO cases of Cytokine storm. Both my wife and I are currently recovering from the flu right now, just as our local media starts covering all the cases of H1N1 popping up in local schools. They really don’t know just how many people have really been infected. My concern is that this virus, like the 1918 H1N1 virus, is making a pandemic wave through the population outside the normal flu season. The current flu isn’t that serious, but neither was the 1918 bug during the initial non-seasonal emergence. I have heard all the concern in the media about the H5N1 Avian (bird) flu mutating so that it can be passed from person to person. Not very likely IMHO. I am much more concerned about H1N1 undergoing a very slight mutation that would allow it to make another pass through populations whose immune systems are primed against it. There is a whole lot that is unknown about the 1918 pandemic, but what is known is that the 2nd and 3rd waves caused all the fatalities, the people who died are the ones who should have been best able to fight it off and the evidence seems to indicate that the cause of death was a serious overreaction of the immune system. It is entirely possible that the 1918 virus was not all that dangerous, the first time you are exposed. If it comes back again in a slightly different form, a healthy immune system was no advantage. I am certainly not the type to get all bent out of shape by every sky is falling concern that we hear about. However I would be far less skeptical about Al Gore’s warnings if I knew that 100 million people had died of global warning 90 years ago! If deaths from the Spanish Lady were rapid – hour to 48 hours, I have to wonder if it might have been due to cytokine storms rather than bacterial pneumonia. Actually the black death, which swept through Europe in 1340s, did kill between 1/4 to 1/2 of the population of Europe, however that is only a few 10s of millions. There were a lot less people then, (and even fewer afterward). The black death is believed to have been Bubonic/pneumonic plague, but that isn’t certain. Some researchers think the Black Death was a flu epidemic and not bubonic plague. One reason is that it spread throughout Iceland before rats (rat fleas are the bubonic plague vector) reached the country. I had heard something similar, but for different reasons. One of the accounts I read of the 1918 pandemic discussed that in some areas, the 1918 virus was referred to as the “black death”. In other areas it was termed the “blue death”. In either case, victims that were progressing on a fatal path became cyanotic(?sp). Their lips and other mucus membranes became blue from lack of oxygen, soon their skin started to change shade. Doctors used this sign to tell which patients needed treatment, and which would die anyway, developing the blue color was always fatal. The origin of the term “black death” is lost in history, it is assumed that due to the timing of the black death arriving in Europe, and the rate of spread, that the primary cause was Bubonic Plague, spread by rats, carrying fleas, which were infected by the yersinia pestis bacteria. Victims who were bitten by the fleas developed a blood born infection which caused the lymph nodes to swell to enormous sizes. The swollen nodes were referred to as buboes, hince the name “bubonic” plague. As bad as this was, much worse was when the blood born disease managed to infect the lungs of any particular victim. The transmission route could then become readily spread airborn particles, rather than fleas bites, resulting in Pnuemonic Plague, which was easily spread, and quite deadly. It is thought that the name “black plague” is a result of the fact that the area of the swollen buboes would be badly bruised and sometimes necrotic, resulting in black tissue, but that’s just a theory. It would be possible for plague to find it’s way to Iceland without flea infected rats, if it were in the pneumonic form. That said, any sailing vessel, departing Europe in the 14th century, carrying pneumonic plague would likely never arrive at port. I have a couple of books that are about epidemics throughout history. It’s very interesting, there are many points in history were the future would have been different, except for some disease occurring. Conditions associated with warfare are very likely to result in infections that are “game changers”. Yea, i thought it was always a given that the “great war” was where the 1918 flu came from, i know it came to nz with the returning soldiers. Im sure thats how it spread so quickly. It is clear that the researchers have fallen into the same ole IPCC-style trap. They have forgotten to account for all the other confounding factors that would influence influenza … clearly they need to allow for volcanic activity, sunspots, cosmic radiation and, of course, CO2 emmissions. No. It is sometimes argued that the Black Death could not have been Bubonic because it spread in Iceland where there were no rats. Oddly enough that is a good reason to suppose that it was Bubonicus spread by rats/fleas. You see Bubonicus doesn’t just kill the humans and the fleas it kills the rats too, and there are many contemporary records of the rats dying. But its real danger is its long incubation period, an infected numan might be infectious but not show symptoms for weeks, same for ratty. But the fleas are always busy: and breed and die fast. So perhaps the infected rats that reached Iceland died: but not before they had brought the disease. And Iceland was and is a nation of coastal settlements so ratty could travel by ship. I think it is generally accepted that the Black Death was Bubonicus but that there might also been contemporary outbreaks of pneumonic disease or possibly Anthrax, or as likely all three since diagnosis of the time could not have distinguished them. Moreover when such a pestilential disease strikes a population with no natural immunity it not only runs rife like wildfire but can take strange forms. And from the sheer morbidity there was no natural immunity to it. The great famines in Europe, due to weather, were a generation earlier and so unlikely to have contributed to the violent outbreak. And again what argues for Bubonicus was that it stayed, breaking out every few years, ever more weakly, for over three hundred years, and was known as the Plague, and then mysteriously disappeared. Well viruses mutate very quickly but Bubonicus doesn’t so generations of humans and rats slowly become immune. But certainly the Black Death represents one of the the greatest, if not the greatest pandemic of all time with an initial morbidity of somewhere around 50% at first contact. True there have been other great killers, smallpox, now extinct, influenza certainly, syphilis, and the like. And they may have killed in their time more humans in total than the Black Death. But none did so so violently, so suddenly, and in terms of the proportion of the population that died from the initial outbreak, so devastatingly. It took nearly four hundred years for populations in Western Europe to recover to what they had been before the Black Death. So who is afraid of the great big AGW monster now? As I understand it the current thinking over the Spanish flu is that it was a human strain of about 1915 which mutated by jumping from humans into pigs and chickens and back again at a specific British Army rear support base [depot] in France in 1917. Well so the researchers say. And the movement of troops, repatriation at the end of the war and the resumption of travel and trade simply spread it. As wars always tend to do. Could we see another pandemic like it? especially given far greater and above all faster movement of people today? possibly but I doubt it. The circumstances of 1917 were unique in their scale, numbers of troops , chickens and pigs in one place, AND in the numbers of people moving in and out of the infectious zone. Could we see another unexpected pandemic like the Black Death. Again I doubt it. Our medical armoury is simply too good. Whih is not to say disease is not always with us, but count your blessings. You live in an age where, whilst not perfect, modern science has banished famine, except as a political tool of murder, has vanquished many of the great killers of mankind, and will conquer more, and offers you and your children a much better future than even you enjoy. But the Luddites I am afraid are always with us, and love to make our flesh creep with tales of hobgoblins and the End Of Days unless we reform our wicked ways. But then it has always been so. My mother (a nurse) was born in 1898 and survived that period, though I don’t remember whether she got the flu or not. I do remember her saying that the people who died were the ones who wanted to show how strong they were and refused to go to bed. Dr. Geise may be right about the size of the 1918 El Nino, but the entire concept of the paper smacks of “association, therefore causation.” I think Amir Hawk agrees. Probably not that big a blip of CO2, since many other things constantly cause CO2 evolution, including the oceans, etc. Also, much of the war was static, once the sides dug into trenches. Chlorine, however, is another matter. I suspect more chlorine was deliberately dumped into the atmosphere during WWI than before or since, when it was used as a WMD in the trenches. Did it affect the planet? I’m not sure. It did affect my uncle–he almost died from chlorine gas. Gene Nemetz (20:36:49) : There has not been that many deaths from H1N1. There are deaths all the time from diseases. H1N1 deaths are not unusually high. H1N1 deaths were initially unusually high in Mexico. There is a plausible reason why this might be. Flu kills via a cytokine storm. This can be disrupted via high levels of antioxidants: Vit C, E, etc. To the extent that the world is a more prosperous place and eats better, there will be fewer deaths. To the extent folks are surviving on beans and corn with low antioxidant levels, they would be more likely to die. So make sure your antioxidant levels are high. Also, there appears to be increased immunity among folks like me who lived through the ’56 ’57 flu (it may have been a related variant). I can tell you that flu was really icky. But to the extent the “old and vulnerable” are really “resistant”, the population virulence will be dampened. To the extent we have an older population, and that resistance is true, there will be a lower percentage of deaths. But antivirals work against it, cytokine disruptors work, and simple antioxidants are very helpful. Most flu variations get “brewed up” in Asia where pigs are raised over water that birds (i.e. farmed ducks) live in; all in close proximity to humans. The multiple strains of flu get to swap bits around with each other until something virulent gets put together. Then it hops onto visiting wild birds and migrates with them to the rest of the world. It is an easy “surmise” that the migration patterns and timing of birds might be modified by El Nino and that might change their tendency to either pick up the new strains or deliver it to vulnerable populations in sync with the environmental factors that would make them susceptible. It is also worth noting that malnutrition would tend to depend on weather cycles (crop yields) in pre-modern times that also depend on ocean current cycles. It would not take much to have a synchrony between poor crop yields, migration bringing a lot of sick birds to the local pond, and flu outbreaks. Both my spouse and her sibling got a flu this summer. It was moderately strong and is believed to have been H1N1 (we are in California, it has been found in the schools with a couple near here closed from it, and they are both teachers…). No antigen tests were done, but the context (and her doctor) point at H1N1 as probable. Why this matters: They both got secondary pneumonia. This argues for some mild lung damage that gave the bacteria a free field. So, if you get “flu like symptoms”; don’t push it. Take bed rest. Pay attention to your lungs. Keep your antioxidant levels high. Ask your doctor about tamiflu and related antivirals. IF you start having lung “issues” ask your doctor about cytokine disruptors and about checking for pneumonia. FWIW, I had a ‘sniffles scratchy throat for a day or two’ and gone. This also argues for H1N1 as I had the ’57 flu that supposedly gives some immunity. This flu is NOT a light weight nothing. There are factors that can mitigate it’s impact, but if the population has poor medical access, low antioxidant levels, is young and overcrowded: it can be very bad. Maybe it is the cool and wet summers that bring on the flu pandemics. a jones – congratulations on your comments about the diminished role of viruses and other pathogens to our health … I’ve nominated you for a Darwin award. There is some disinfomation in your posting – I can readily believe that the flu your wife suffered from was H1N1, it is the primary flu in circulation right now, and is not at all rare – it’s all 50 states right now. However the ’57 Asian flu was H2N2, there is no cross immunity between the two. The initial reports from Mexico City were quite alarmist, there were reports that flu was just starting to spread and yet there were already a high number of fatalites, most of which were not in the normal high risk groups. When it was determined that the virus was a H1N1 variety, as was the 1918 virus, public health officials became very concerned. After several weeks, better information became available. There were a lot more people with the flu then had been originally thought, the fatality rate was completely normal for seasonal flus. Many of those thought to have been victims had actually died from other causes. Those that had died from the flu were in the normal higher risk groups, nothing remarkable. At the end of the day, the concern about the “swine” flu boils down to the fact that it is the same serotype (H1N1) as the 1918 virus, and it has emerged outside the normal flu season, as did the 1918 virus. It is not factually known whether any flu kills by cytokine storm, however it is believed that the 1918 virus did. It is also likely that the H5N1 avian flu produces a cytokine storm. During any normal flu infection, there will be a large amount of cytokines in the blood stream, it is normal and necessary part of the immune response, and isn’t at all the same as cytokine storm, which is an uncontrolled feedback loop. Tamiflu (and other anti-virals) are not recommended for those who are not in the higher risk groups, however it is recommended for pregnaut women at the first sign of infection. For some reason, the 2009 H1N1 virus seems to be affect pregnaut women more severely than the general population. Have you ever heard about the “Country of the Tomorrows”? Well, I live in that country, Mexico, and I can assure you that from the initial 1350 infected people living in La Gloria Veracruz, no one died by A-H1N1. Oaxaca was the first state where a person died by SWINE influenza. Almost all fatalities were due to negligence, so from the Mexican Health authorities (they thought it was seasonal influenza) as from the patients. Wiki says Black Plague killed 200 million. Wouldn’t this be a greater “medical holocaust,”? And wouldn’t any “holocaust” have to occur after the “Holocaust,” or was this a term before ww2??? The black death was a specific outbreak of plague in Europe during the 1340s. The entire population of Europe at that time was about 100 Million, about 20 Million died, over several years. Wiki has a figure of 200 Million as the total number of people who may have died from Bubonic/pnuemonic/septicemic plague thoughout history. That figure is a pretty high estimate, and requires the assumption that most epidemics over a period of 400 years were plague, which is unlikely. Holocaust is a word, “The Holocaust” occured during WWII. The 1918 Spanish Flu is considered the worse disaster in human history because it killed 50-100 million people in a one year time period. No natural disaster, famine, war or pandemic has anyway near that body count. Maybe my previous thoughts had legs and this is possibly another example of me thinking outside the box. What am I talking about? I told a couple of Energy MET’s earlier this year via PM , as well as a science writer at a newspaper, about this possible connection. But my theory had a slightly different twist. The pandemics seem to have formed after the El Nino’s followed a two year La Nina event…….. Maybe this somehow causes it to mutate differently do to changing climate factors. Don’t know. Here’s a comment I made over at eastern in their swine flu thread about “something else to consider, but it was speculative.” But you also have to be a member to read their poltical forum. I also mentioned somewhere else in this long thread that this would go pandemic before it was declared June. And this possible relationship would allow one to forecast pandemics well out in advance in my opinion. Or at least the chances of it happening. Dear Jim… Viruses are not living beings which go there mutating under environmental pressures. Viruses mutate into the host cells, when their RNA recombines and incorporates strands of the host cell’s RNA. This virus was created in pigs farms or in a lab in New Jersey in 1976.